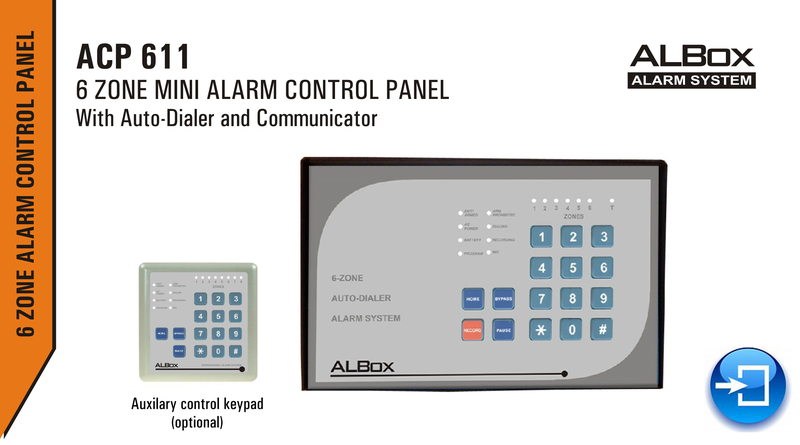 ACP 611 is an alarm control panel with 6 hardware protection zones and 2 software zones for panic and duress alarms. which is designed for home and office protections using the latest security concept It is built-in with voice autodialer and data communicator in one unit. when alarm occurs. it gives local alarm warnings as like the traditional alarm system and it also sends out the alarm status information to the monitor station and voice message and/or numeric message to the pre-set telephones and/or personal pagers. as the system reports alarm event through multiple media to the appropriate parties, which guarantees that no alarm reporting will be lost even one of the parties is not on duty. 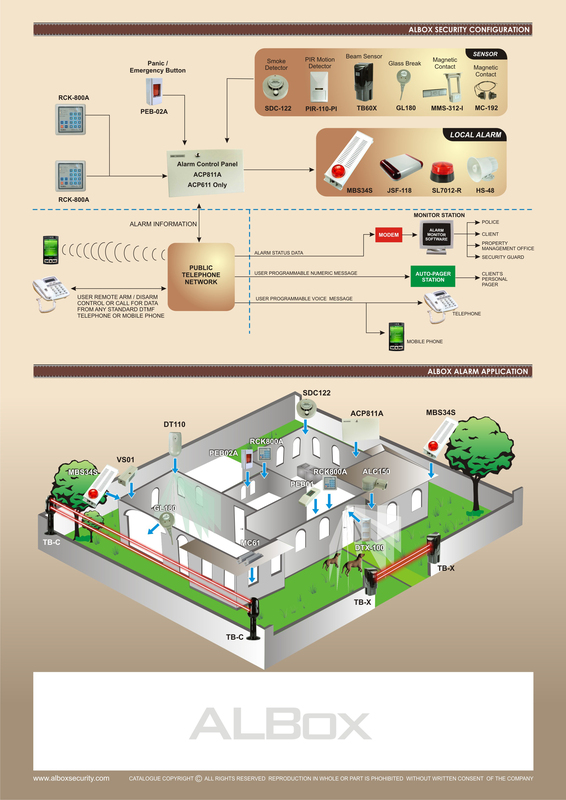 the ACP611 alarm control panel is fully compatible with the ALARM-MONITOR software MS-980 which Is an Ideal tool in setting up an alarm monitor station with personal computer for the small to medium size community, such as a monitor station at an estate management office, the security control office of a commercial residential building and even a police sub-station. the ACP 611 is compatible with all the public telephone systems. 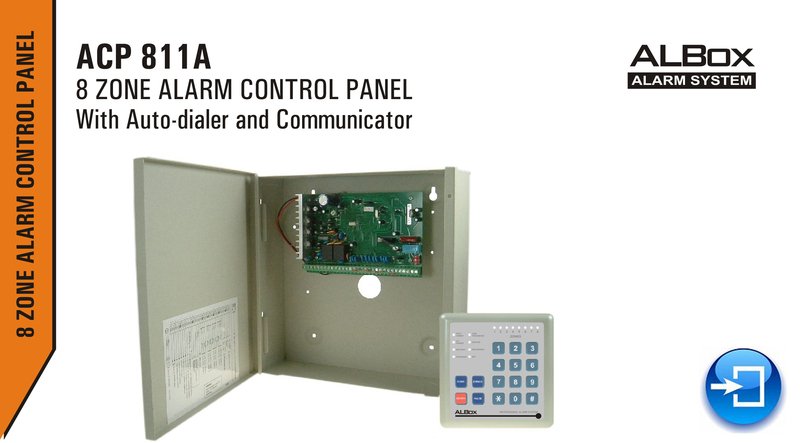 ACP 811A is an alarm control panel with 8 hardware protection zones and 2 software zones for panic and duress alarms. 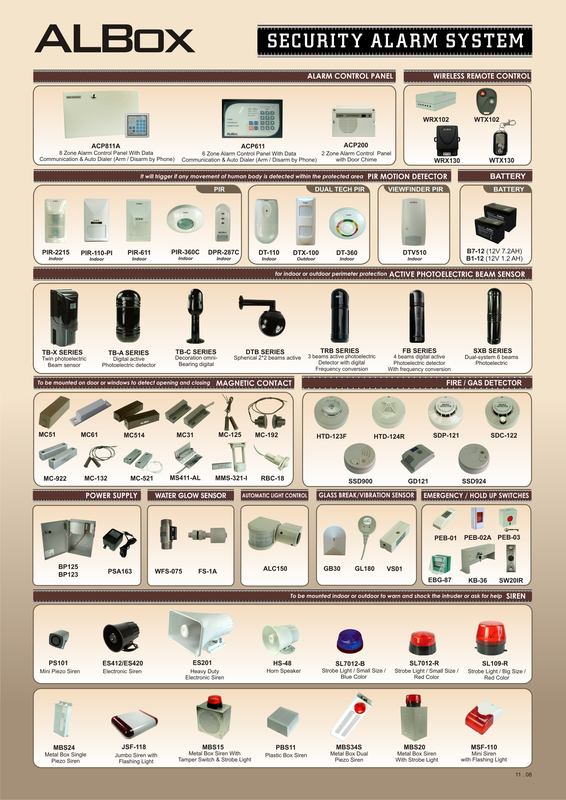 which is designed for home and office protections using the latest security concept It is built-in with voice auto-dialer and data communicator in one unit. When alarm occurs. it gives local alarm warnings as like the traditional alarm system and it also sends out the alarm status information to the monitor station and voice message and/or numeric message to the preset telephones and/or personal pagers. As the system reports alarm event through multiple media to the appropriate parties, which guarantees that no alarm reporting will be lost even one of the parties is not on duty. The ACP811A alarm control panel is fully compatible with the 'ALARM-MONITOR" software MS-980 which Is an Ideal tool in setting up an alarm monitor station with personal computer for the small to medium size community, such as a monitor station at an estate management office, the security control office of a commercial residential building and even a police sub-station.